Like many entrepreneurs, Lanie List found inspiration in disappointment. When shopping for her own wedding dress in 2008, List struggled to bond with consultants at the bridal boutiques she visited. Never encountering the “Instagrammable” moment she envisioned, List settled for purchasing her wedding gown off the rack at a London store. For List, the dress-shopping experience lacked the verve, comfort and energy she expected, or at least hoped she would find. “It wasn’t an experience I enjoyed at all and, comparing notes, I found a number of friends faced similar disappointment,” List recalls. 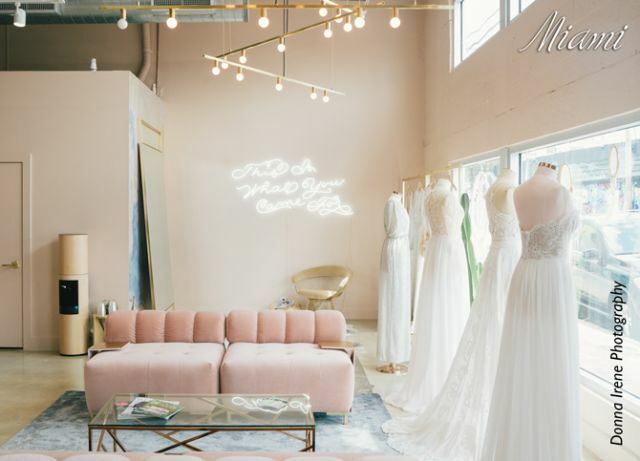 But it wasn’t for naught as the experience sparked List to create Lovely Bride, the fast-rising bridal boutique now pushing its way toward 20 units dotting the U.S. landscape. After graduating from the University of Notre Dame in 1998, List worked in the buyer training program at Target before moving into the creative side and becoming a fashion director. In 2004, she moved to Iconix Brand Group, a leading brand-management company. Overseeing $8 billion at retail with brands such as Candies and Badgley Mischka, List also revived dormant brands and created new ones, including Material Girl with Madonna. While List’s work at Target grounded her in financial and business basics, Iconix taught her the ins and outs of marketing and branding. Those early work experiences would later supercharge List’s efforts to launch and grow Lovely. 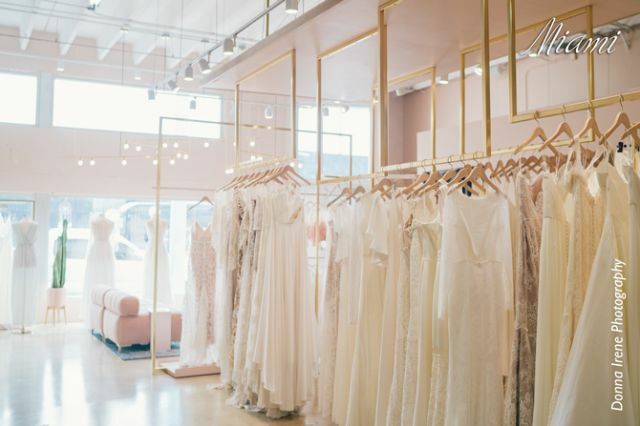 Coming off her own lackluster dress-shopping experience, List identified what she thought was a glaring need in the bridal retail space, principally the lack of bridal designers that were cool yet accessible. She fashioned Lovely Bride as the answer to that marketplace void. “I saw a lot of white space for a cool, hip indie boutique,” List says. List began formulating plans for Lovely in 2009, specifically defining the elements that would allow her to create a different type of bridal retail experience. 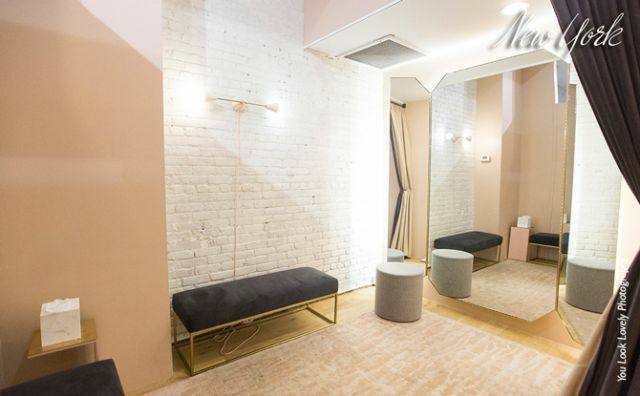 She hooked up with emerging indie designers, designed a retail environment more akin to a best friend’s apartment than a traditional retail store, and sought to bridge the typical consultant-customer divide by inviting brides to peruse inventory in an uber-personalized shopping experience. “I didn’t just set out to change the experience, but really the whole model,” she says. Soon after, List signed a lease for a townhouse space in New York City’s West Village, officially transitioning Lovely Bride from idea to reality. She began sourcing product from Etsy and cold-calling compelling designers she found online, leveraging her trendspotting work at Iconix to find buzzing brands. She favored the “unordinary” and gowns from the likes of Sarah Seven that brides couldn’t find anywhere else. “Many of these designers wanted to build their business in an organic way as well, so it was a natural fit,” List says. 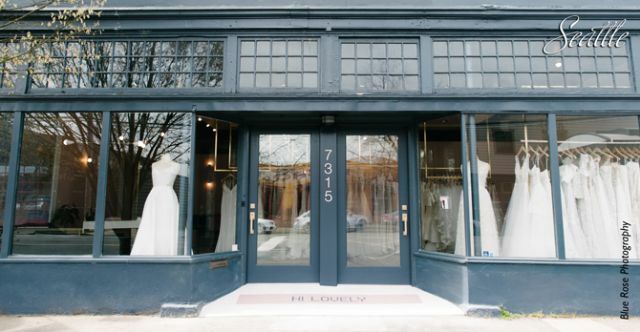 Six months prior to opening Lovely in April 2010, List also debuted a tip-heavy bridal blog called “Lovely” that solidified herself and her upcoming store as credible industry aficionados. The blog also laid a breadcrumb trail to Lovely, the physical manifestation of all she was preaching. 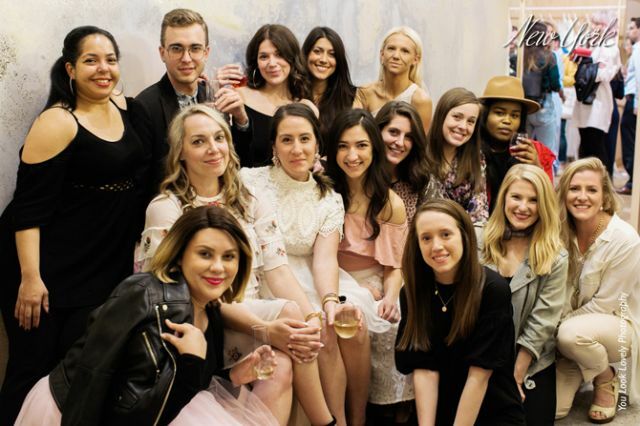 When Lovely’s West Village storefront opened, success was immediate and, at times, overwhelming, especially as List juggled Lovely’s opening years while maintaining her full-time job at Iconix. Still, a persistent and steady List plugged along. “One foot in front of the other,” she says. 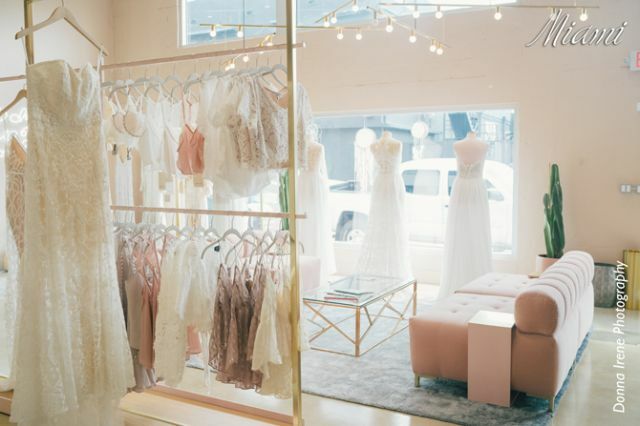 Calling Lovely the “OG bridal shop,” List’s New York-based outlet catered to the laid-back girl, removing the frills and fanciness she felt failed to resonate with many modern brides. 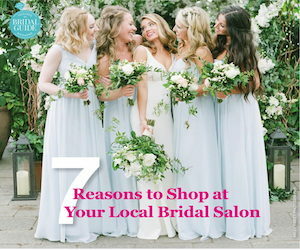 She pulled her stylists from New York’s fashion scene and charged them to provide the “Lovelies” – Lovely Bride speak for bridal customers – a rich and empowering experience, more friend than fashion gatekeeper. Two years after Lovely’s New York debut, List turned her attention to the west coast and opened a second Lovely Bride in Los Angeles. The L.A. unit became the template for future units, something List had cautiously envisioned from the start. 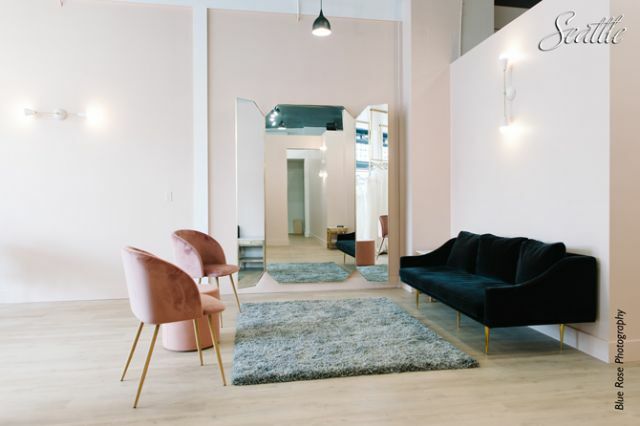 “We documented the entire process of the L.A. store’s opening with the thought that it could be our guide for other stores to follow,” List says. Organically, however, something else happened in tandem with Lovely’s west coast arrival as well as its move into larger quarters in New York, where Lovely traded its West Village home for a larger space in Tribeca: List began fielding calls and e-mails from brides around the country asking if Lovely could open a store in their city. Those messages then evolved into something else: requests from entrepreneurial souls hoping to open a Lovely themselves. With years of licensing experience in her back pocket, List activated plans to franchise Lovely, a thought she had never previously considered. She finalized Lovely’s operations manual and completed the laborious Franchise Disclosure Document. When word trickled out that Lovely was franchising, List received a healthy response from talented women eager to sign on. 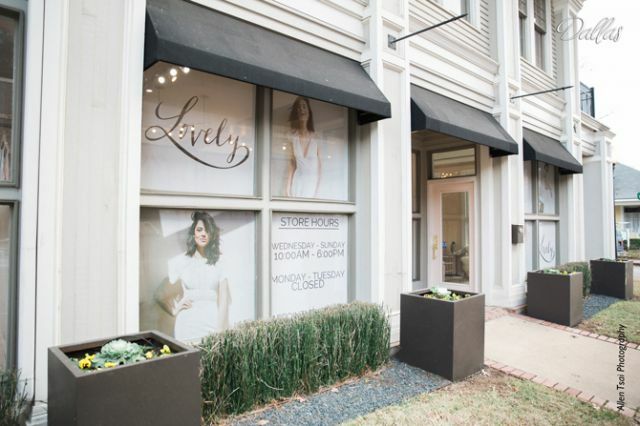 Lovely’s first franchised unit opened in Washington, D.C. in 2013 and the company now has 11 franchisees running 13 of its 17 units. List, who favors the title “creative director” over CEO, insists there is no specific franchisee prototype. Lovely’s franchise partners, in fact, come from a range of distinct backgrounds – data research, advertising and wholesale among them. List does, however, favor professional women approaching Lovely from a thoughtful and earnest business perspective. Franchisees must show Lovely leadership a vetted business plan that includes everything from demographics to competition in the potential market. “We make sure it’s a good fit and haven’t had any misses yet,” says List, who officially left Iconix in 2015 to shepherd Lovely’s rapid growth. 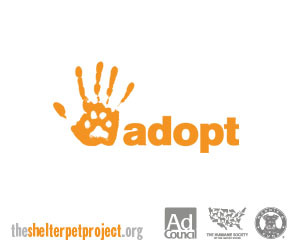 Lovely supports its franchisees with ongoing training, marketing, store design and much more, while also navigating the legal regulations around franchising, many of which differ from state to state. “That adds costs on our end from the legal and accounting perspective,” List acknowledges, calling legal support her single biggest outlay of resources in franchising. 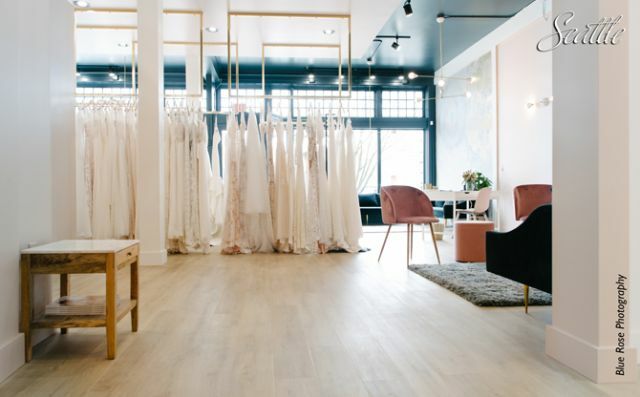 Though franchising Lovely Bride was never List’s initial intent, she terms it a “happy accident” that has contributed to Lovely’s vibrancy and growth. Lovely franchisees are called “The Collective” and List says Lovely benefits from a talented and intelligent group of women sharing their strengths to propel the brand as well as local operators committed to and invested in the positive performance and perception of their stores. With its mix of local, independent ownership from invested franchisees and the polish Lovely corporate delivers on the marketing, branding and operations side, Lovely has found a dynamic middle ground between the true independent and an established chain store boasting professional systems and standards. “We’re essentially a corporate mom and pop,” List says. Lovely’s franchising play has spurred growth beyond anything List could’ve imagined eight years ago. At VOWS press time, Lovely stores in Denver, Cincinnati and Atlanta were all readying for their debut. 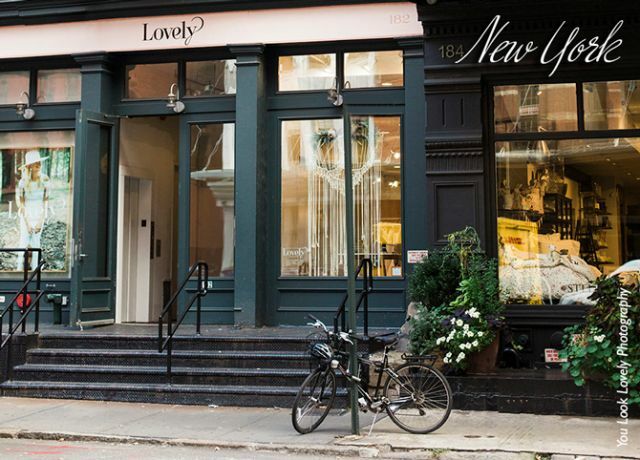 “We’re opening three stores in May and June alone and that’s never something I could have accomplished with company-owned units alone,” says List, who retains ownership control of Lovely’s New York City flagship as well as outlets in Houston, Miami and Seattle. To that point, Lovely stores feature the same overarching décor, including custom fixtures, furniture and wall paint, as well as marketing materials. Over the years, however, List has worked to find sweet spots and ways to localize Lovely. 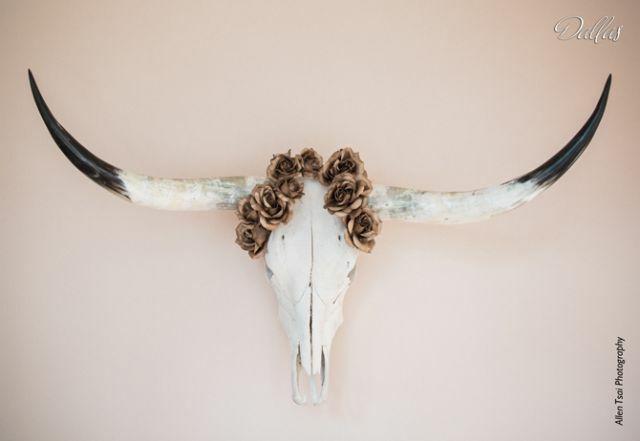 The Dallas store, for instance, features a giant Longhorn on the wall while the Houston store hosts a popular “Y’all” neon sign often found in social-media photos. The subtle differences extend to the inventory, where franchisees themselves handpick the dresses they will carry in their stores from a predefined list of designers. Even so, List says about 80 percent of the collection is consistent from store to store, a reality that grants Lovely advantageous economies of scale. Lovely has also crafted partnerships with several designers and debuted its own exclusive lines to drive traffic and interest from brides. 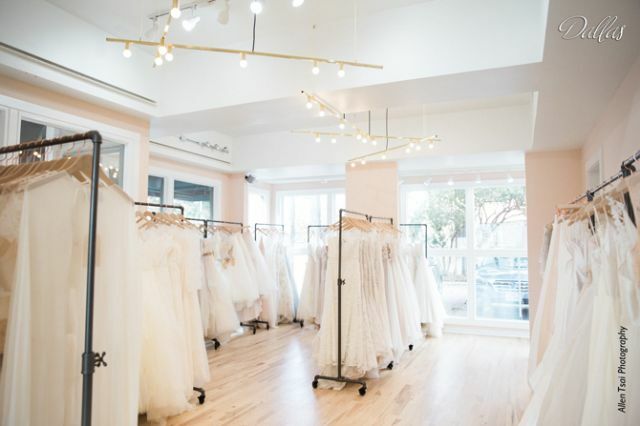 “We’re offering world-class marketing that’s resonating with brides as well as unique and different product offerings in each of our stores,” List says. As List turns her focus to the coming years, she says she’s focused on adding value to franchisees, building up Lovely’s resources and positioning the brand for the future.